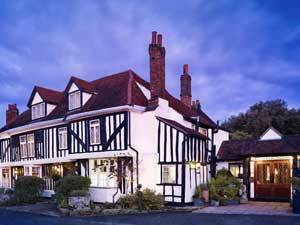 Marygreen Manor01277 225252work01277 262809fax HotelThis luxury 4 star hotel is conveniently located in the heart of Brentwood just minutes from the M25/J28. Close to Brentwood Train station and within easy driving distance of Lakeside and Blue Water shopping centres, reach Central London or the main London Airports, by train or car, in less than one hour. This luxury 4 star hotel is conveniently located in the heart of Brentwood just minutes from the M25/J28. Close to Brentwood Train station and within easy driving distance of Lakeside and Blue Water shopping centres, reach Central London or the main London Airports, by train or car, in less than one hour. Marygreen Manor Hotel's beautiful Tudor Manor House offers a variety of accommodation from 4 poster Tudor Suites to delightful Courtyard Garden Rooms. Well appointed, comfortable, air conditioned rooms provide the perfect base for the busy executive, with work desk and high speed internet access. Wi-Fi is available in all public areas. Conference rooms available for hire. Leisure guests will enjoy the tranquil setting and old world charm of this historic building. Guests can relax in the extensive bar/lounge area where a selection of light meals is available. Alternatively enjoy a fine dining experience in the award winning Tudors Restaurant where you can choose from the Du Jour, A la Carte or Chefs Tasting Menu. Free onsite parking is provided for up to 100 cars. Marygreen Manor is a fine example of early sixteenth century architecture and was initially the home of Henry Roper, gentleman servant to Catherine of Aragon. Children welcome from any age. Once on the M25 exit at Junction 28 signposted for "Brentwood". Take the road off the roundabout, signposted for "Brentwood A1023" not the A12. You should now be on Brook Street. You will see the Holiday Inn on your left. Proceed straight through two sets of traffic lights. The Hotel is situated 200 yards on the right hand side. We are a black and white tudor building set back from the road with a large car park at the front.